In order to provide you with the tools that you need to create SchoolhouseTeachers.com focused collateral, we have created a collection of approved logos, templates, etc. You can access this library on Dropbox. SchoolhouseTeachers.com retains ownership of all images and materials included in the library. They may not be sold or licensed to any third party. Any materials you create for SchoolhouseTeachers.com should follow the style and voice of the SchoolhouseTeachers.com brand. Please only use the assets we’ve provided you to feature SchoolhouseTeachers.com, rather than attempting to mimic SchoolhouseTeachers.com collateral. Incorporating a similar layout or structure to existing SchoolhouseTeachers.com collateral and presentation materials is encouraged. If creating collateral for your own brand or another company but featuring SchoolhouseTeachers.com logos, etc., the general design should be consistent with the other brand but any official usage of SchoolhouseTeachers.com assets (logo, etc.) needs to follow the SchoolhouseTeachers.com usage guidelines. 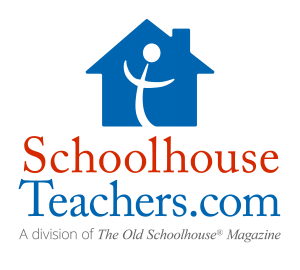 The most commonly used SchoolhouseTeachers.com logo is the color version. When design prohibits this, it may be used in all black or reversed out to white. There are three primary logos that can be used. No other versions may be created or used. Each logo must be used in its entirety and must stand alone as a singular graphic element. It should not be used as part of another mark and should not be combined with another logo, mark, graphic or visual element. Each variation is may be used in standard full-color, black, or reversed white. The logo icon may not be used alone except for official, company-related items like the web site favicon, chat badge, or other specific elements on the site. The icon may not be used alone in advertising, affiliate assets, or other public uses not directly related and on the SchoolhouseTeachers.com web site. To ensure proper logo clarity and legibility in print media, the logo may not be reproduced in sizes less than 1.75” wide. The minimum size for electronic media is 50px high for the standard logo, 75px high for the narrow two-line logo, and 100px high for the vertical logo. The logo should always appear with clear space around it. Please provide space equal to the height of the “S” in Schoolhouse around the top and sides of the logo and a space equal to the lowercase “c” underneath the logo. The clear, uncluttered space surrounding the logo maintains the logo’s integrity, impact, and legibility. When scaling (enlarging or reducing) the logo, always make sure to use the shift key in your design program to maintain the original proportions of the logo. The SchoolhouseTeachers.com color scheme reinforces the company’s brand and personality. We rely heavily on the use of white space to maintain the clean and simple look, keeping the use of other colors to a minimum. Please only use the provided colors when designing other text and visual elements in conjunction with SchoolhouseTeachers.com logos, graphics, and imagery. RGB and hexadecimal values should be used for onscreen documents and CMYK values are for print. The primary font used in the logo is Adobe Caslon Pro. The first printings of the American Declaration of Independence and the U.S. Constitution were set in Caslon. Ideally suited for text in sizes ranging from six to 14 point, Adobe Caslon Pro is known for its classic, timeless and lasting look. Adobe Caslon Pro is the recommended serif font used for a body of printed work, because its individual letter forms are more distinctive and are easy to identify. Adobe Caslon Pro is available through Adobe Typekit (typekit.com) or other professional font sources. The recommended tagline or web font is Open Sans. Open Sans has an upright stress, open forms and a neutral, yet friendly appearance and is optimized for legibility across print, web, and mobile interfaces. Open Sans is available in a large number of variants for a font with an open license.